The Medicare Access and CHIP Reauthorization Act (MACRA) makes four important changes to how Medicare pays those who give care to Medicare beneficiaries. Updated the rates for physician services will increase each year by 0.5 percent through 2019; by 0 percent from 2020 through 2025; and then beginning with 2026, by 0.75 percent for physicians in eligible APMs and 0.25 percent for all others. The enactment of MACRA represents a major turning point in Medicare Part B payment policy and quality programs, which could have a significant impact on post-acute and long-term care practitioners. 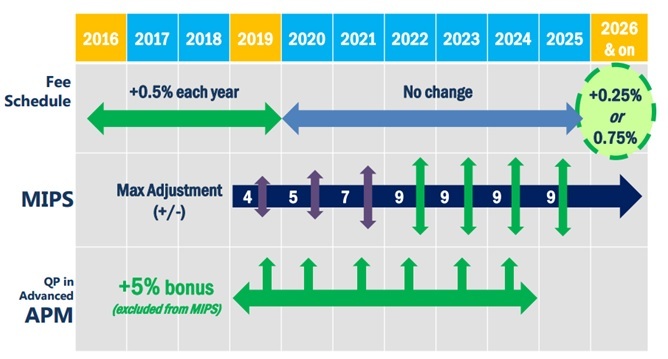 These proposed changes, named the Quality Payment Program (QPP), replace a patchwork system of Medicare reporting programs with a flexible system that allows you to choose from two paths that link quality to payments: the Merit-Based Incentive Payment System (MIPS) and Advanced Alternative Payment Models. 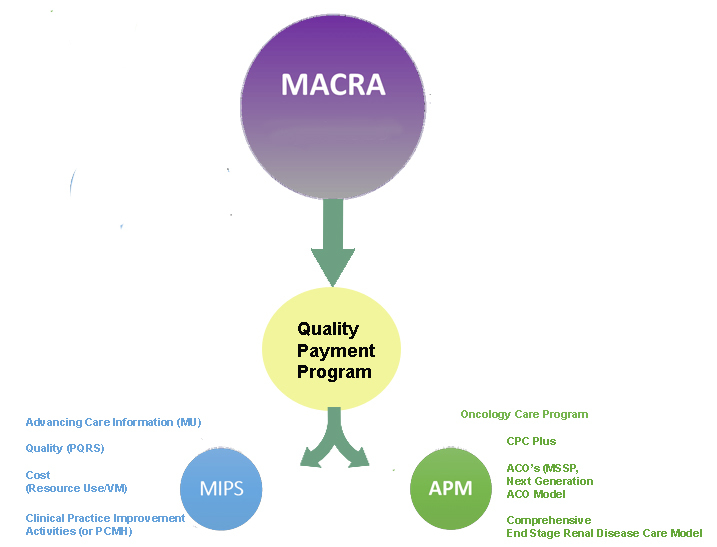 What is the Society Doing About MACRA/QPP? 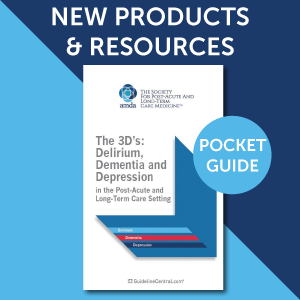 The Society submitted commentson the Proposed and Final Rules of the 2018 Quality Payment Program. What are some educational resources to learn more about MACRA? How do I learn more about reporting on MIPS? How do I learn more about participating in APMs? Click here to learn more about APM participation.